Crimp the smallest of sleeves, copper double or aluminium singles. Perfect every time. 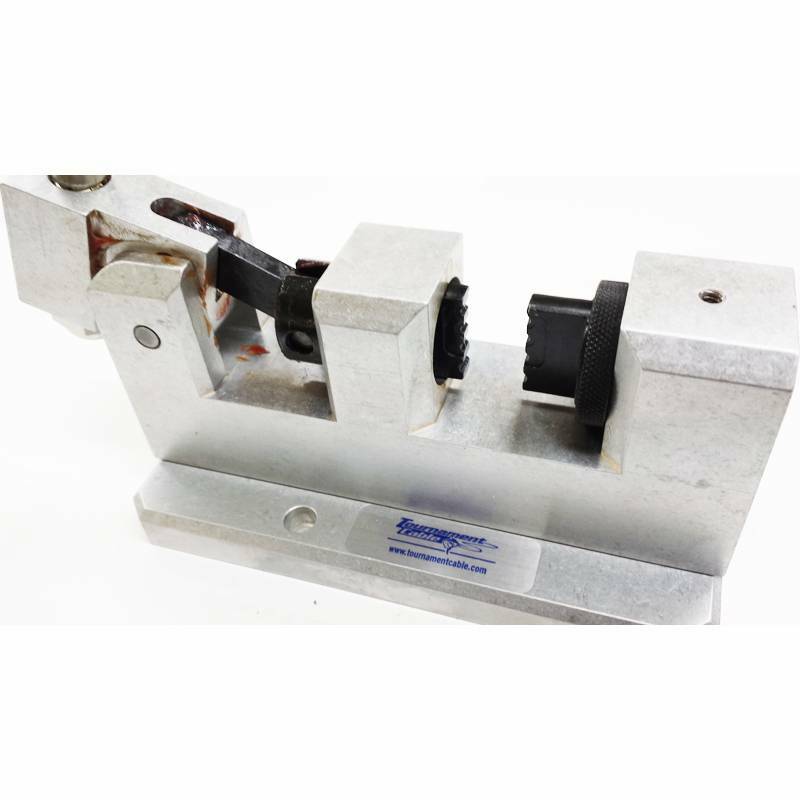 Tournament Cable is pleased to announce its latest innovation: a precision bench crimper designed specifically to handle the mini crimps required by light mono and cable. This machine is a first of its kind, working on mono from 130lb all the way down to 10lb test, and on cable from 275lb down. 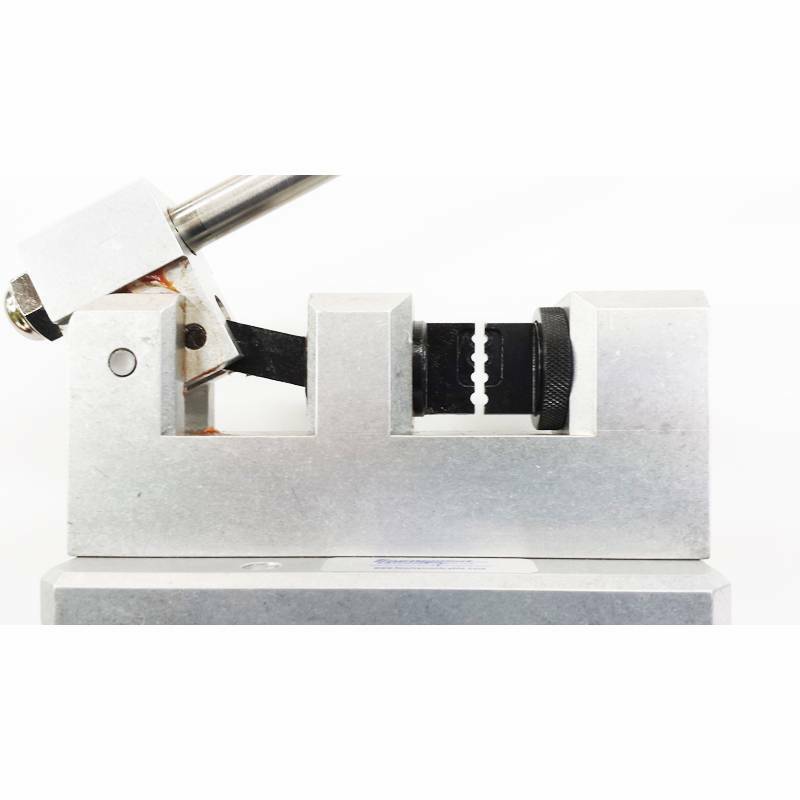 No more guessing the correct amount of pressure to use or hoping for consistency with the usual hand crimpers – once adjusted to the crimp and line size this bench crimper will perform flawlessly and uniformly. 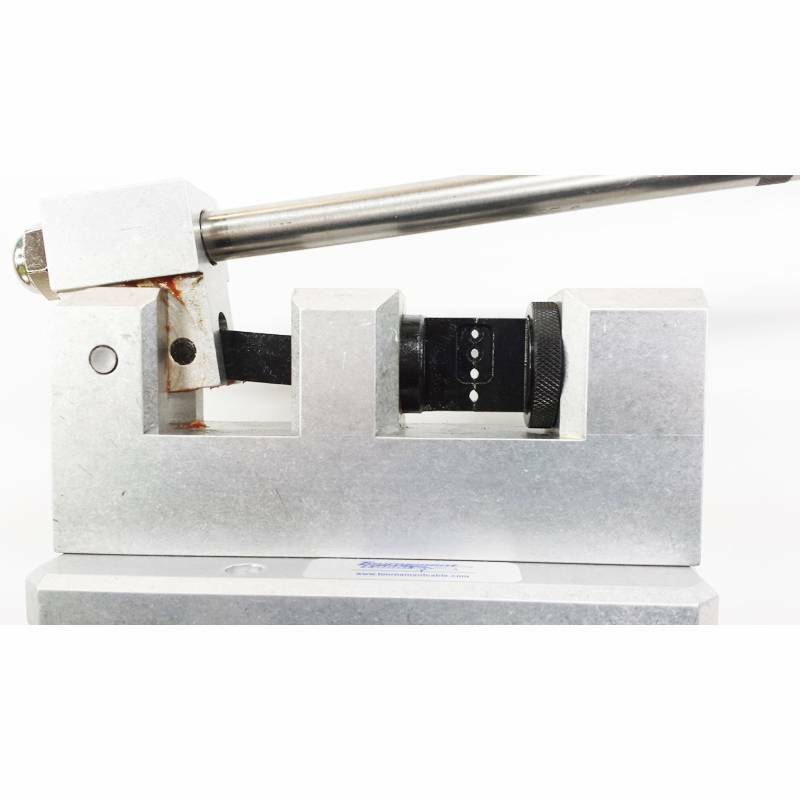 With four different cup sizes and infinite adjustments, it can be set for any small sized crimp. 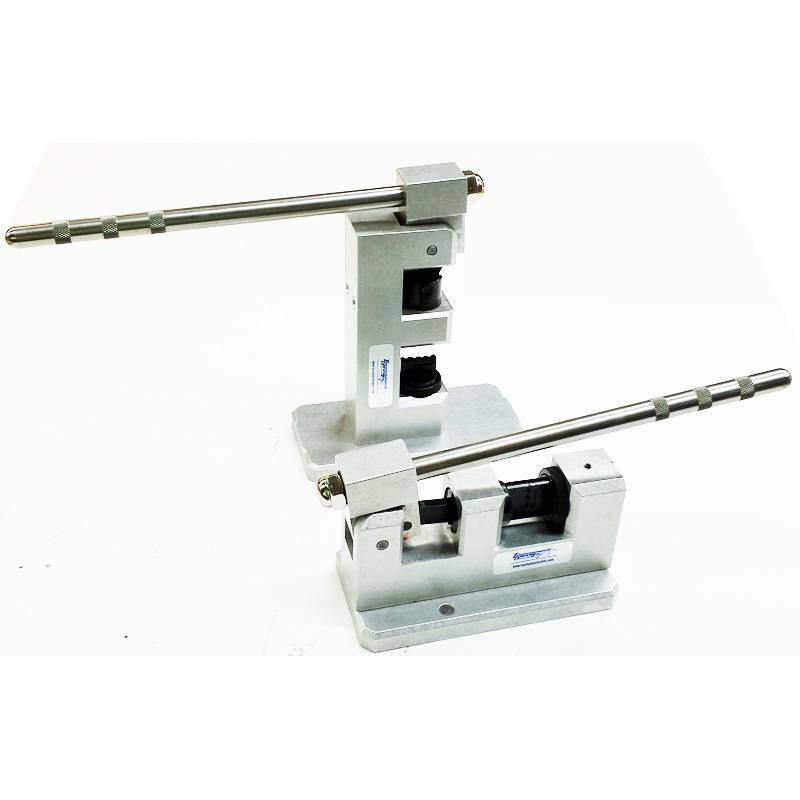 The crimper can also be mounted vertically or horizontally, and the handle comes with two different positions. From White Marlin to Flounder Rigs, this is the answer. Designed and engineered by Tournament Cable, machined and produced here in the USA. All will accept mini double barrel copper or brass crimp sleeves or any of the aluminum single sleeves. The width of the crimp cups will leave a flair on each end of whatever sleeve being used. Can be positioned for horizontal or vertical mounting.